Our company is geared to give the kind of accurate and high quality workmanship to our customers that has become our trademark in today's fast-paced, highly competitive economy. Commercial-Industrial-Processing Facilities-Plant Maintenance, Our engineers and craftsmen have the ability and the know-how to meet our customer's specifications for every job. 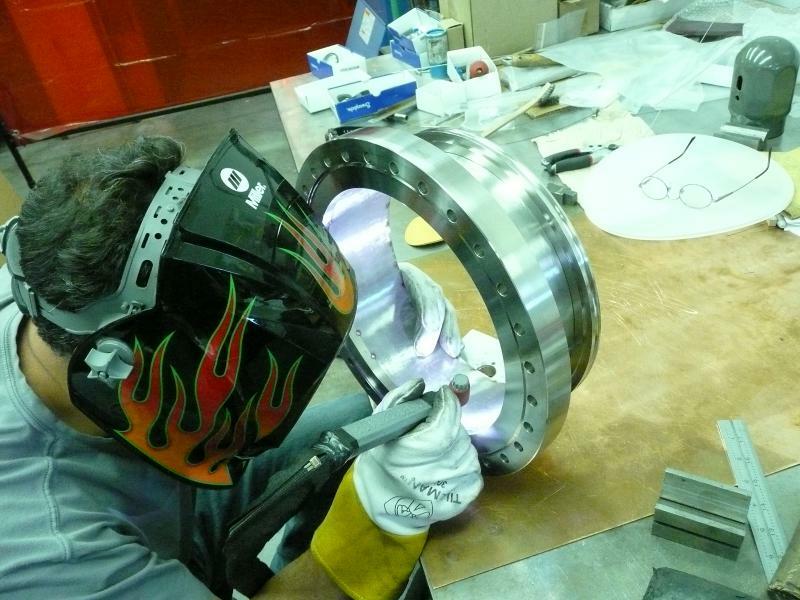 Lyru Engineering specializes in precision sheetmetal fabrication as well as: shearing, punching, brake-forming, cnc machining, machining, oxy-fuel cutting, solder and torch brazing, plasma cutting, and ARC, MIG & heli-arc (TIG) welding. We also work with a great variety of materials such as: mild steel, stainless steel, aluminum, copper, bronze, titanium as well as many other alloys. Ultra High Vacuum chambers, and associated supporting components. Copyright Lyru Engineering, Inc. All rights reserved.